Eli El-Chantiry was first elected to City Council in November 2003. Councillor El-Chantiry has been a staunch supporter and a dedicated volunteer for many West Carleton events. He has been on the Board of Directors for the Western Ottawa Community Resource Centre and has worked with a number of local groups any time help is needed - including local Community Centres, local Churches, the Legion, and Seniors Groups. Eli was recognized for his efforts when his community awarded him the West Carleton Citizen of the Year for 2001. Receiving this prestigious award during the U.N. International Year of the Volunteer is one of Eli's proudest accomplishments. Eli was truly honoured to receive the Queen Elizabeth Diamond Jubilee Medal in 2012. During the 2010-2014 term of Council, he acted as Deputy Mayor for the City of Ottawa. He also proudly served on the Ottawa Police Services Board from 2003 to 2018, with 12 consecutive years serving as Chair. 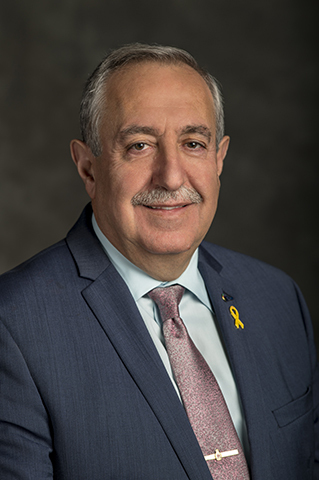 From 2015 to 2018, Eli also served as Chair of the Ontario Association of Police Services Boards (OAPSB).